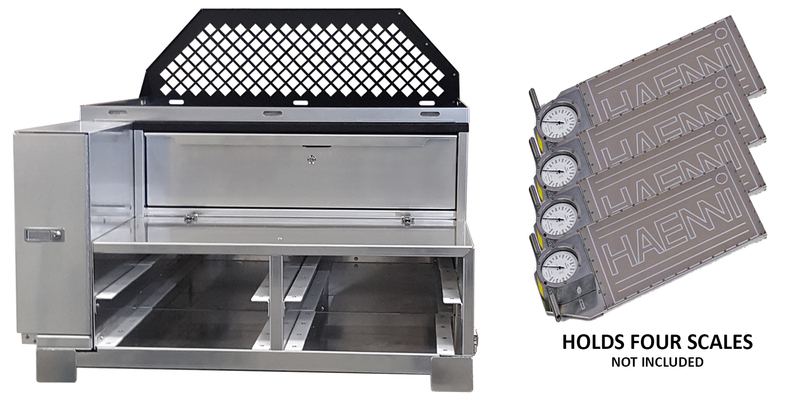 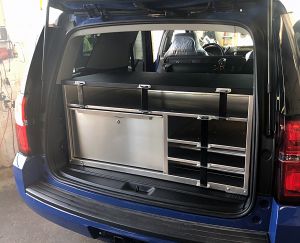 Specifically designed for Commercial Vehicle Enforcement, our Chevy Tahoe solutions can hold up to six scales, gear and rifles – all made with heavy-gauge aluminum and heavy-duty, 250 pound ball-bearing slides, and the scale compartment has Teflon slide rails. 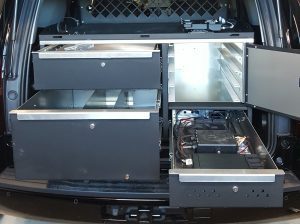 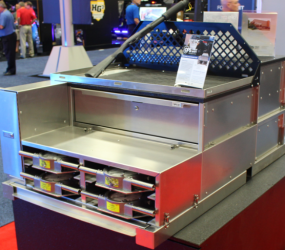 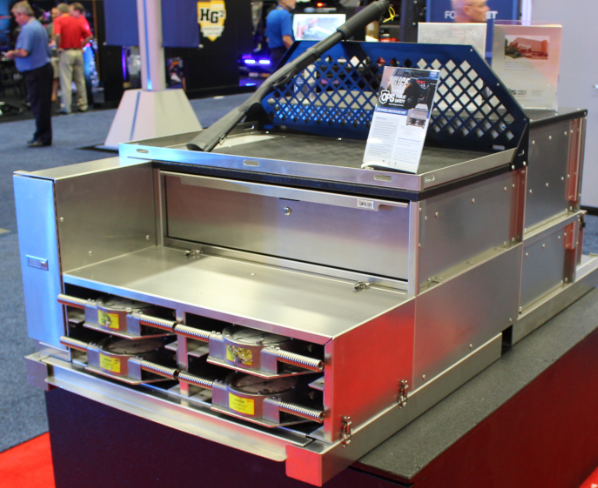 This unit is designed with organization in mind and includes a long weapon drawer, an equipment drawer, and a perforated radio drawer. 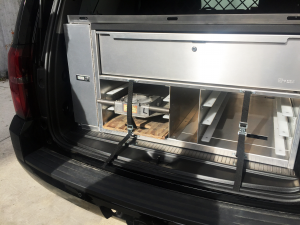 It stores up to 4 HAENNI scales secured by a trigger latch. 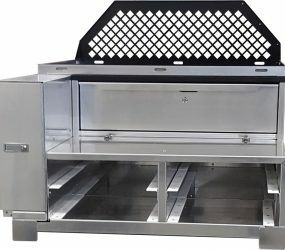 This unit is designed with an equipment drawer, and scale storage with tie-downs and straps. 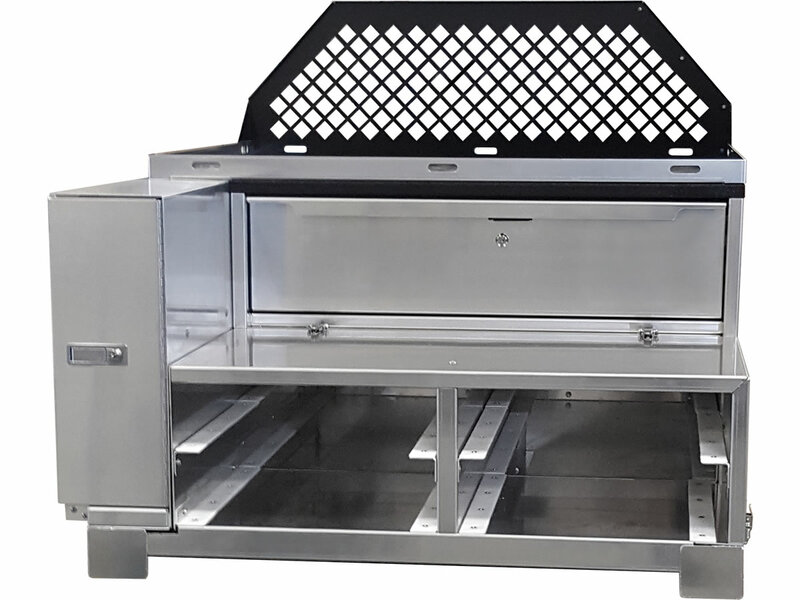 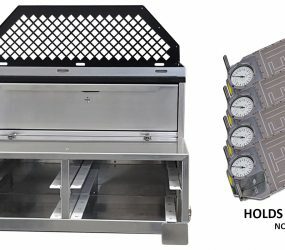 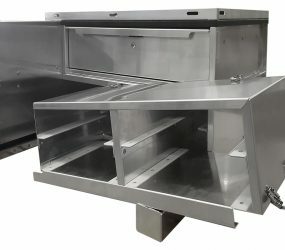 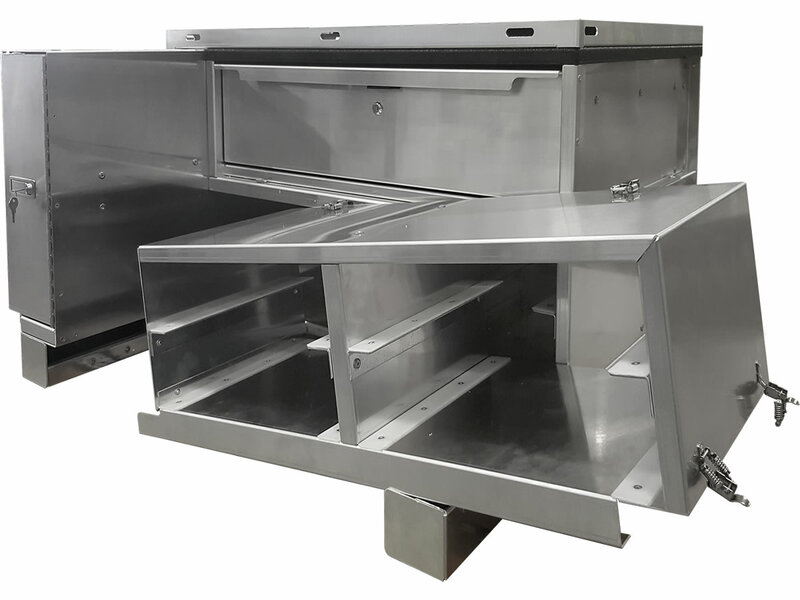 Designed for departments looking to secure six HAENNI scales, this solution also includes a driver side gun box, and equipment storage drawer.